I have been on this Charlotte Mason journey a while now. I enjoy the planning that comes with each year and have embraced the natural times of reflection and evaluation that come as we approach end of terms and the close of the school year. This year is different, and I find myself at a hard stop. Next month my oldest graduates from high school. I find my usual reflection is deeper and more pronounced. I would like to share some of my thoughts as I reflect, ask questions, and surprisingly find grace. Interestingly enough one question I find I am not asking is – does this Charlotte Mason thing really work? I am already confident my children will be adequately prepared for the larger world. For some time now I have felt a deep assurance that this philosophy of education prepares unlike any other – both academically, as well as, and more importantly, for life. And though it is not what matters most, I can now say with first-hand experience that our children can do well on standardized tests and get into college. I do not share this to boast or because I have just discovered it; but rather, it is because I remember truly wondering if I dared trust this Charlotte Mason philosophy of education. You can! I did, and I have not regretted that choice for a moment. As a homeschooling mom with several more years of schooling before me, I find myself asking – what would I do differently or wish I had done sooner? Is there anything I regret? Or rather, what things I am thankful that we did do? Looking back, I am thankful we have continued to spread the feast even in high school. It can be tempting to allow poetry, picture study, drawing, music, nature study, and more to be crowded out by what can mistakenly be deemed the more important subjects such as math, science, and writing. Certainly there is always room for improvement, but I am thankful we continued to make the broad feast a priority not only in the school day but in our daily lives. Cultivating relationships toward God, man, and our world is vitally important as we lay hold of the broad field of our inheritance. In a similar vein, I have tried hard to create margin, so we are not constantly coming and going with every hour scheduled and full. We all need time to be – time to savor and ponder the great ideas we are gleaning from our books and the beauty around us, and time to share and discuss ideas with others. Unhurried time is vital to the sinking in of ideas and the forming of relationships, and that is what it is all about. I have found myself amazed that I do not find myself wishing we had crammed in just one more book. I remember many times agonizing over book choices, literally almost feeling sick at the thought of what we might be missing. How could we not schedule this biography or that literature choice? It was so hard to pick a few from the many great options and ignore the temptation to speed along. I was told we are educating for life, not just until graduation, and I have found it is true. The desire for knowledge for its own sake will carry on into the future. I find I am also glad we embraced the study of language arts in the manner and timing Charlotte Mason recommends. It seemed too simple at first, and I struggled whether or not I would trust as well in this area. But we did, and I found that once again she was right. Copywork, dictation, oral and written narration, composition (often based upon the living books we were already reading), and yes, formal grammar and essay instruction – but in its place and time – have joined together to create a cohesive but natural whole. It does work and I am thankful. What would I do differently? It may not be what you might think, then again, maybe so. As I reflect I find I regret developing habits in myself and my children that would take so much effort to undo. I can attest to the fact that it is easier to make the proper habit in the first place than to undo the bad and replace it with a new one. I wish I would have realized sooner how easily I could and should model the delight and expectation of joy in our studies and the great world around us. Fostering anticipation and delight is such a simple thing that can reap great rewards, but it takes being aware and alert. I have been awakened to the importance of my own attitudes, thoughts, words, and actions. So often it starts with me. I have found that it is I who greatly influences the atmosphere and tone of our home. And frankly, I need work. Implementing a Charlotte Mason philosophy has been life changing as I discover so much more than simply how to teach children. There are many important aspects of home-life from first training to highest education; but there is nothing in the way of direct teaching that will ever have so wide and lasting an effect as the atmosphere of home. And the gravest thought concerning this is that in this instance there is nothing to learn and nothing to teach: the atmosphere emanates from ourselves–literally is ourselves; our children live in it and breathe it, and what we are is thus incorporated into them. There is no pretence here or possibility of evasion; we may deceive ourselves: in the long run, we never deceive our children. The spirit of home lives, and, what is more, is accentuated in them. Atmosphere is much more than teaching, and infinitely more than talk. Atmosphere of the Home, by M. F. Jerrold, PR, Vol. 8, no. 12, 1897. I wish I had realized sooner that fewer words often say more and speak more clearly. Many times my mouth should simply remain shut. As I ponder what I wish we had done better or sooner, I find it has nothing to do with which math curriculum, biography, or science book we chose. Though some could argue we have done well, I can see all the things I could have done better or sooner. It is an interesting thing, isn’t it? The more you come to know the more you realize how little you actually do know. If anything, my biggest regret is not implementing the philosophy and methods of Charlotte Mason sooner and more fully. But as a wise woman once told me, I cannot do anything about what I did not know in the past, all I can do is move forward implementing now what I do know in the present. I can make all kinds of wishes and consider regrets. I wish I had read Home Education when my children were small, but I didn’t even know Charlotte Mason existed. I did the best I could with what I knew at the time. So as I come to this unexpected hard stop and reflect, I find what I need most is grace. Grace. Have you ever noticed that we often fail to extend ourselves the same care and grace we would so freely extend to others? As I choose to extend grace to myself – and it is a choice – I gain confidence in the knowledge that I am not alone in this endeavor. That the Holy Spirit would wish to join me is such a balm to my sometimes weary spirit and such cause for rejoicing! In the things of science, in the things of art, in the things of practical everyday life, his God doth instruct him and doth teach him, her God doth instruct her and doth teach her. Let this be the mother’s key to the whole of the education of each boy and each girl; not of her children; the Divine Spirit does not work with nouns of multitude, but with each single child. Because He is infinite, the whole world is not too great a school for this indefatigable Teacher, and because He is infinite, He is able to give the whole of his infinite attention for the whole time to each one of his multitudinous pupils. We do not sufficiently rejoice in the wealth that the infinite nature of our God brings to each of us. Parents and Children, p. 273. So I will continue to take time to reflect for there is merit in examination and evaluation. 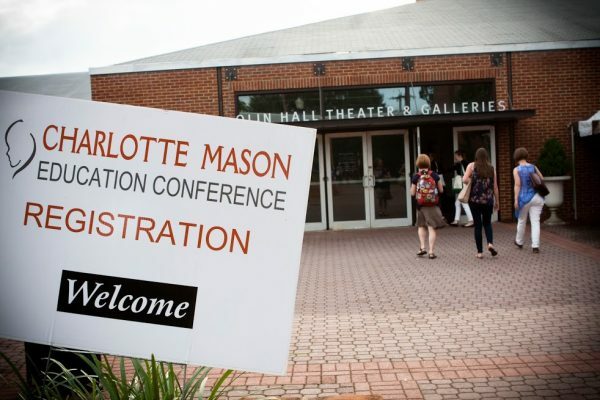 I will continue to trust the Charlotte Mason educational philosophy—continuing to learn and grow. I will continue to work on habits and atmosphere, as we seek to be persons who live closer to life. I will continue to draw strength as I partner with the Holy Spirit in the education of my children. And I will also embrace grace – grace for the past, grace for today, and grace for the future.